There is nothing more British than guards’ red: Beefeaters, telephone boxes, the London bus, the Yeomen of the Guard, and post boxes. 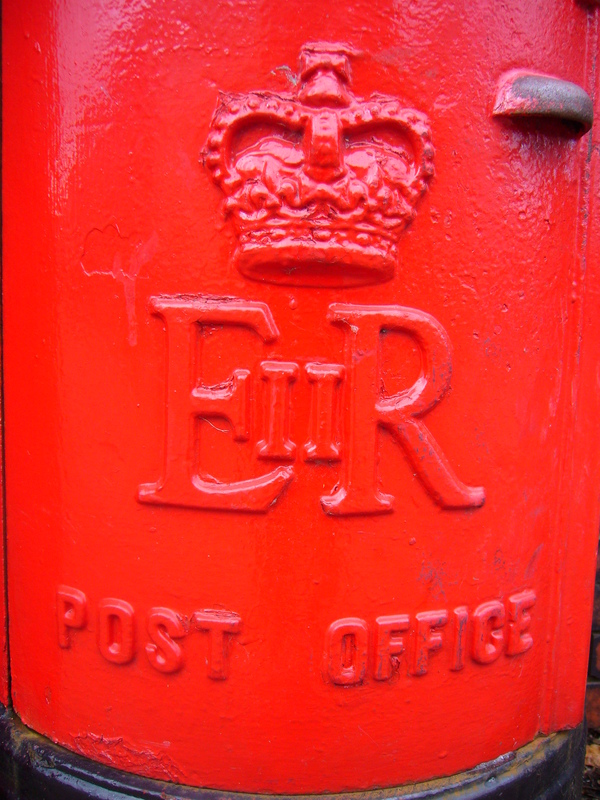 In bright, vibrant red the post box is a highly visible bastion of Britishness found up and down the country, but there is more to the average post box than first meets the eye. The British post box is intrinsically linked with the history of the British Isles and of our monarchy, for each post box bears the insignia of the monarch who was ruling at the time it was installed and depicts the crown that they wore during their coronation. Post boxes are a little bit of British history on every street corner. 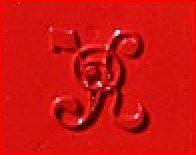 It is precisely this unique and symbolic function of the post box that has got it into trouble over the past few years. 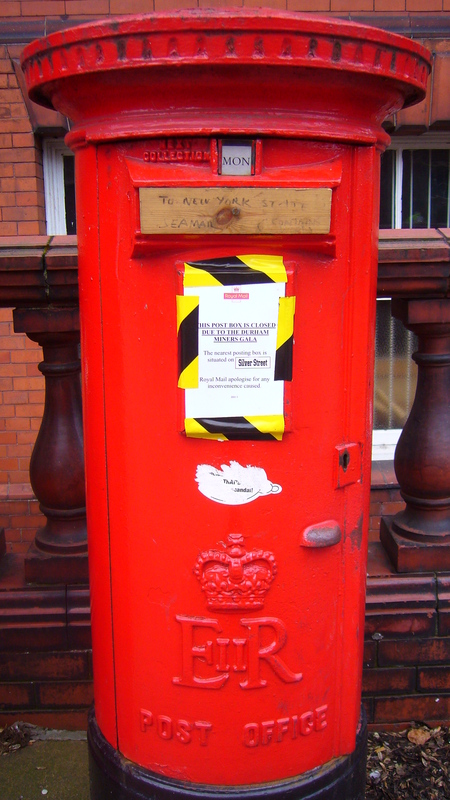 Due to their iconic status, collectors (mainly from abroad) wanting to own a little piece of Britain have engendered a demand for purchasing post boxes. In response, a torrid black market has started up with thieves either stealing postboxes and selling them on the internet at auction or stealing them to order. With postboxes changing hands for thousands of pounds, and the rarer ones going for much more, Royal mail and the post box loving community have hit back with a Top Secret agenda: they will point blank refuse to tell you where any post boxes are located in the United Kingdom. On a positive note, this air of secrecy adds an excitable and thrilling sense of discovery for people who enjoy post box spotting. 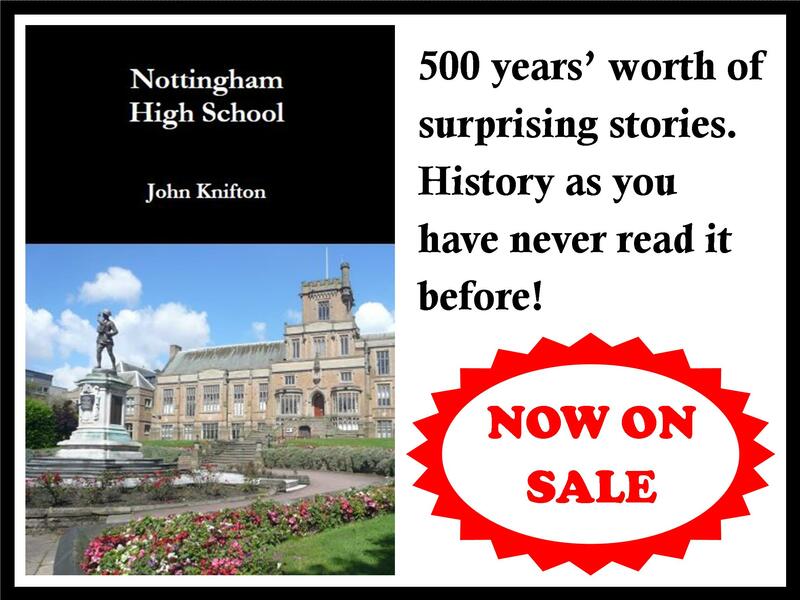 So, in honour of the fast-being-stolen post box, I’ve decided to put together a brief guide to understanding more about your local post box, its place in history, and its royalist pride. Queen Victoria reigned from 20th June 1837 to 22nd January 1901, making her the longest reigning monarch in British history (so far!). 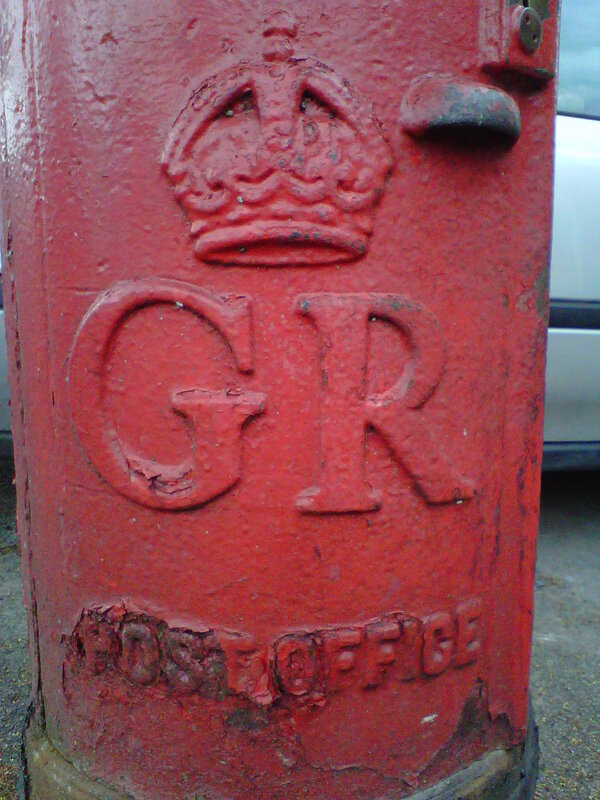 The earliest post boxes date from her reign, and are quite rare. Hexagonal ones are very ornate. In addition, there are some anonymous post boxes which were produced during Victoria’s reign. These do not bear the name or crown of the monarch. I wouldn’t trust one with my post. An Anonymous Post Box, 1879. Edward VII reigned from 22nd January 1902 to 6th May 1910. Due to the shortness of his reign, these postboxes are scarce. George V reigned from 6th May 1910 to 20th January 1936. These postboxes are much more common than either those of Victoria or Edward since George V’s reign lasted longer and included periods when there was a rapid expansion of building houses (particularly suburbs) in the United Kingdom: as new roads were laid, new postboxes were installed on street corners. There are also a small number of very special air force blue post boxes from George V’s reign. Otherwise known as “that King” who “married that woman“. Edward VIII’s reign was extremely short lived, from 20th January 1936 until his abdication within the same year on 11th December (yes, really!). 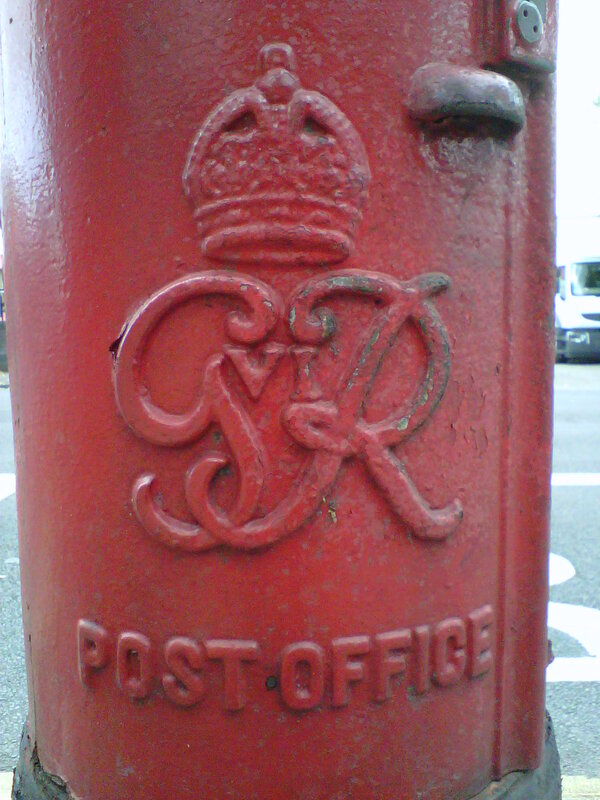 The brevity of his reign and swiftness of his abdication means that post boxes bearing his insignia are like gold dust. Our wartime King reigned from 11th December 1936, picking up where his elder brother had left off, until his death on 6th February 1952. 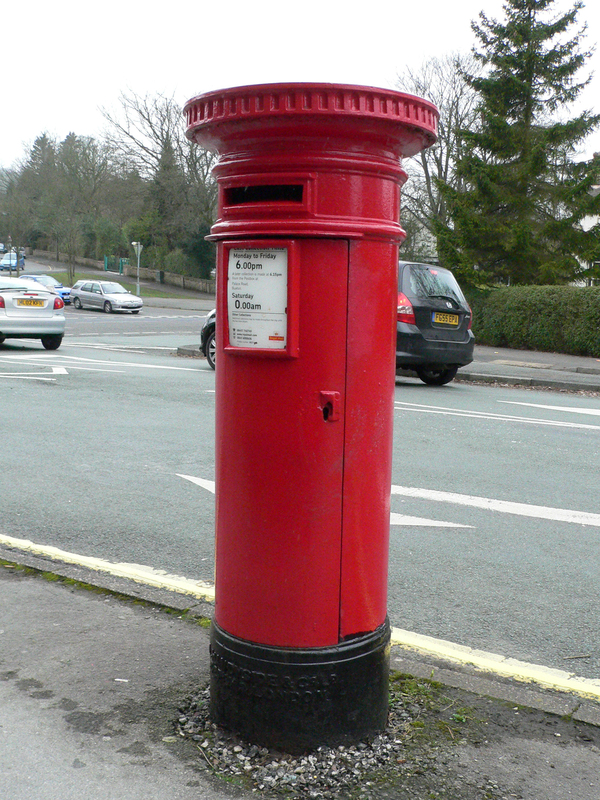 Due to his long reign, which also included periods in history with rapid building works (particularly after World War Two), these postboxes are quite common. 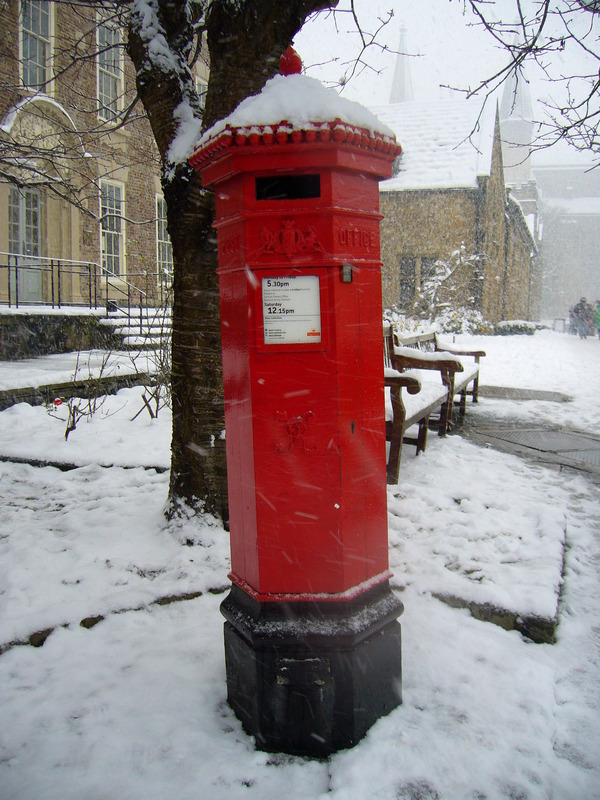 This is the most common post box you will encounter in Britain, mostly due to Her Majesty’s continuing long reign from 6th February 1952 to the present day. Well, I can safely say that after all your teasing talk of postboxes over the last few weeks, this post did not disappoint. I hope you have fun spotting the exciting one in Cambridge. Thanks, I will keep you posted about the exciting one outside King’s.